Voltaire Diamonds is a wholly Irish-owned company with extensive international experience in the precious gemstones trade. Their primary focus is on individual customer needs through a personal service and the assurance of highest product quality at the best prices. 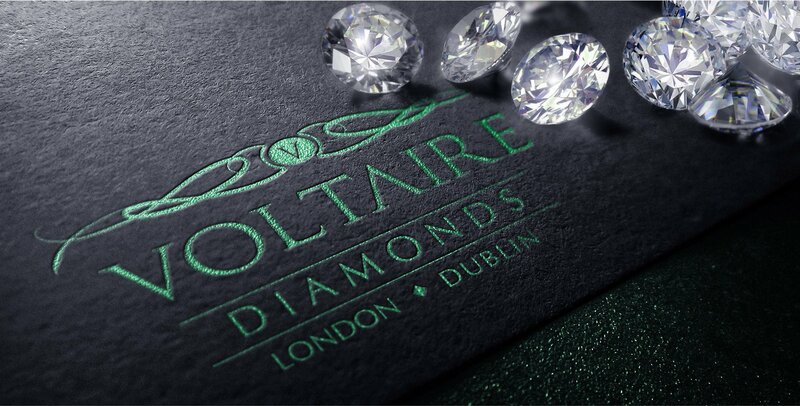 Designworx were excited to work closely with Voltaire Diamonds to design and develop their brand identity. 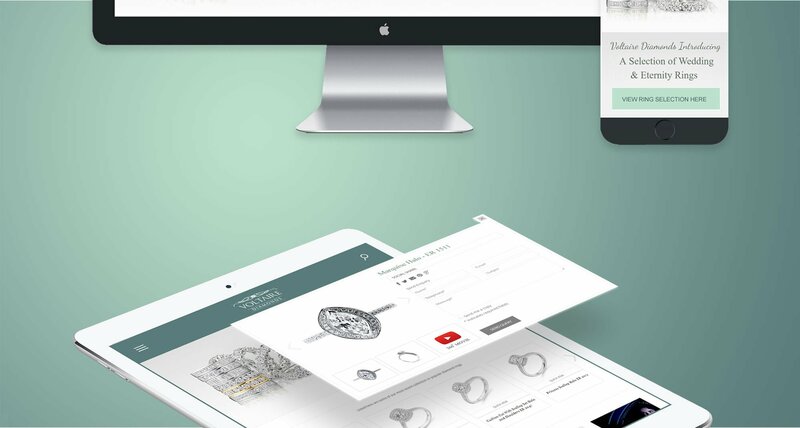 In addition, we also created a bespoke catalogue website that empowered the user to quickly browse and view Voltaire Diamonds product selection through immersive 360 degree videos embedded directly from Youtube via the CMS. 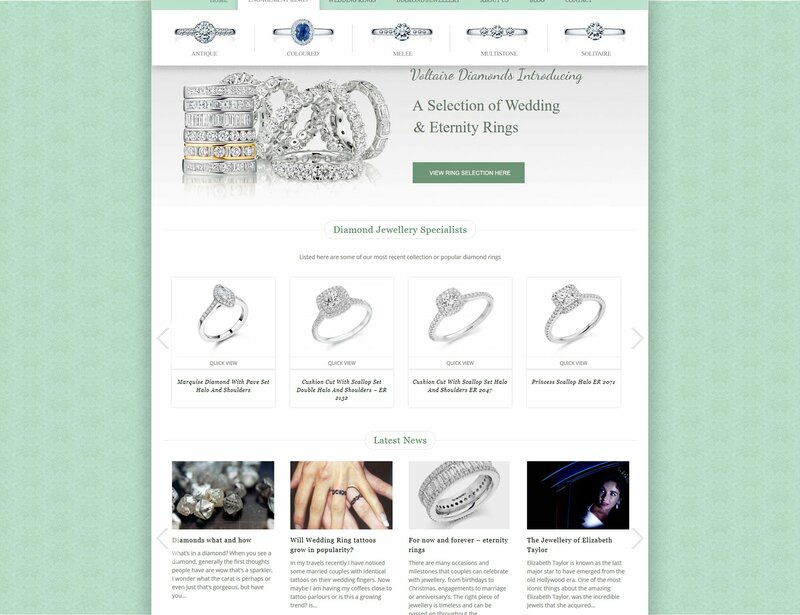 The Voltaire Diamonds website design would begin with a catalogue based website. Visitors could easily explore and select their ideal choice of jewellery through a clear and immersive experience. Once the visitor had made their choice/choices of jewellery, they could then seamlessly contact the Voltaire Diamonds team through a simple form unique to each product item. A subtle live support system was also used to proactively reach out to visitors directly. Before creating the Voltaire Diamonds website it was also clear that facilitating a high volume of targeted traffic to the website was of key importance. The new website included specific premium optimisation and digital marketing tools. Features were also integrated to maximise engagement through multiple options including relevant social media and video sharing channels. 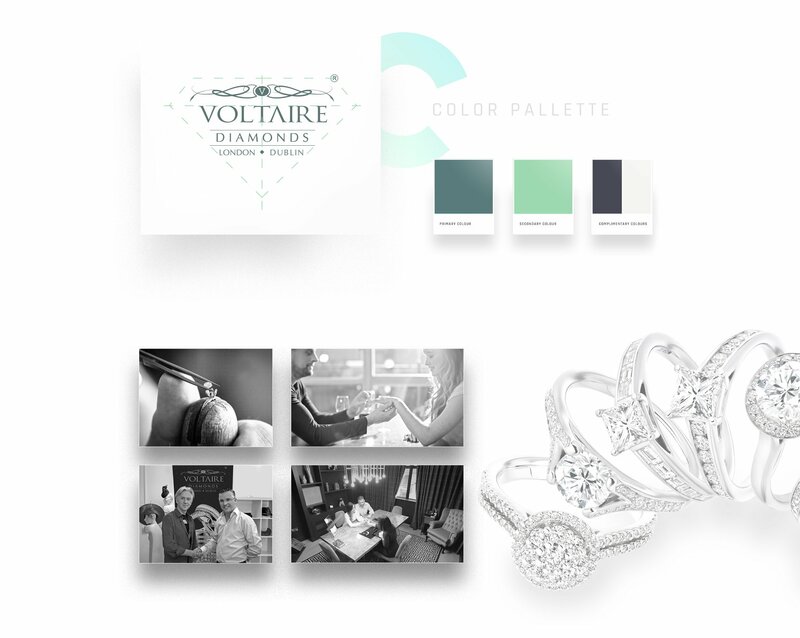 It was important to demonstrate that Voltaire Diamonds was an Irish company that fostered the … The colors palette chosen for the logo brand were shades of green. Without being too ouvert with the colours a combination of earthy greens and subtle pastels were explored until the final colour conbination was agreed.